Now, like many twenty-four year olds, I grew up reading her “Harry Potter” series, so you might think me looking forward to her new work is only natural. I mean, why wouldn’t I buy something from an author I like? But Rowling is a special case, at least for me. She isn’t like Haruki Murakami, my favorite living writer, whose books I love every time I reread them because, with him, I know to a certain degree what I’m going to get before I even read whatever his latest novel is. Don’t get me wrong, all of his books are surreal and unique in their own ways. But aside from the presence of cats and stoic male protagonists (who seem to resemble Murakami himself, or at least the image of himself he gives off in interviews), the real thing that his books have in common have to do with mood, style, and a mysterious way he has of making you feel that, from the moment you open one of his novels, you are entering a world that is distinctly his own. Just hearing the name Murakami makes me think of dreams, the same way hearing Poe makes me think of cemeteries, crypts, and dead young women who won’t stay dead. My point is that Murakami has essentially stuck with the same themes he has since he started writing – developing them to be sure, but never straying too far. That’s not so with Rowling. Asking me why I like her is the same thing as asking me why I like Harry Potter – the two are inseparable to me, and not only because she has only written Potter books. It’s no secret that Harry Potter has made such an indelible mark on the consciousness of an entire generation (and more to come, to be sure) that his character is not confined to seven books, for he can be found in pop-culture everywhere (theme parks, toys, etc.) He stands like a colossus, overshadowing even his creator, much like Frankenstein’s monster might be said to overshadow Mary Shelley. But that’s about to change. Come Thursday we won’t have to discern Rowling’s themes and styles from one fictional source alone. We’ll have another book to draw on, and it’s no Harry Potter. “The Casual Vacancy” is not a children’s book by any means, and I can’t wait for it for a few reasons. First, as I’ve made clear here and in past posts, I’m very interested in how authors shape and are shaped by their works, so I’m looking forward to having something else from Rowling’s imagination to help me understand her and her literary intentions. Second,I’m curious whether the book will be good or not – I don’t care much what the critics will say, since I’m guessing many will be outraged that it isn’t Harry Potter 8, or that it doesn’t recreate the experience of reading Harry Potter 1-7. But I want it to be good for more than my own satisfaction and it’s that deeper hope that made me want to write this post. In brief, I believe that the success of “The Casual Vacancy” could help turn the public back towards denser, longer, psychological fiction. Why do I think this? Because of what Harry Potter did for children’s books. Can you imagine a children’s book that was over 600 pages being successful today if the Potter books had never existed? Speaking for myself, I can remember finding it hard to wade through some extremely thin books over a month but blazing through “Harry Potter and the Chamber of Secrets” in a single night. 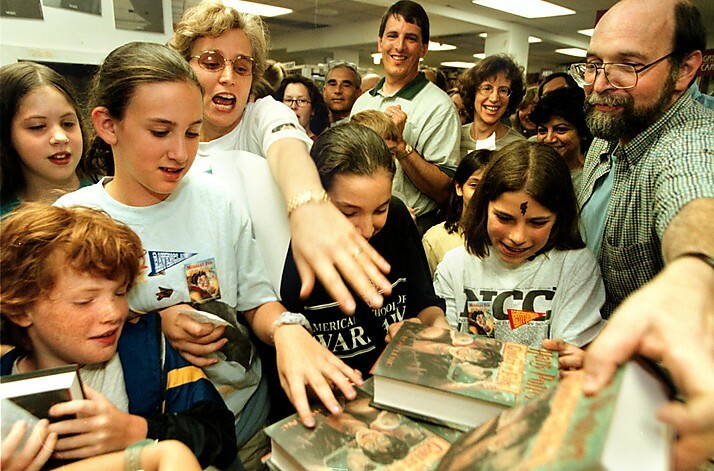 Rowling made many children interested in reading who otherwise might never have become serious readers at all. And in precisely the same way, I believe her new novel could interest adult readers in the kinds of novels they might otherwise never consider. From what I’ve been able to gather (mostly from a New Yorker article), “The Casual Vacancy” is a 500+ page book centered on a small town that focuses on the lives of a small number of characters. Very vague, I realize, but without going into the plot at all it seems to me that just that structure makes it sound like a 19th century British novel of the kind George Eliot might write. I’m not comparing Rowling to Eliot – what I mean to say is that if “The Casual Vacancy” is anything like the classic novels of Eliot, then perhaps people might start considering reading more challenging works than they might otherwise, which would make publishers more interested in psychologically dense stories. This would furthermore encourage writers who might now believe their stories to be unmarketable, and literary fiction might appeal to a larger audience than it does today. Am I being too optimistic? Maybe. I am not expecting Rowling’s one novel to transform literature overnight. But lightning did strike with “Harry Potter”, which certainly transformed the way children’s books appealed to the public (I wonder if “The Hunger Games” novels would have been successful had “Potter” not existed”). Lightning striking twice might be pushing it, but as a person who loves books and wishes more people were open to the immense power and excitement contained in classics, I can certainly hope that Rowling is able to work her magic again. DISCLAIMER: None of the views expressed in this post or blog reflect those of Barnes & Noble in any way. They are my opinions and ideas, which I alone am responsible for, and are in no way connected to Barnes & Noble whatsoever. And if that isn’t clear enough – I am speaking in this post and blog only for myself, Matt Seidel – NOT anyone else or any other entity, including but not limited to Barnes & Noble. They are mine, and mine alone.